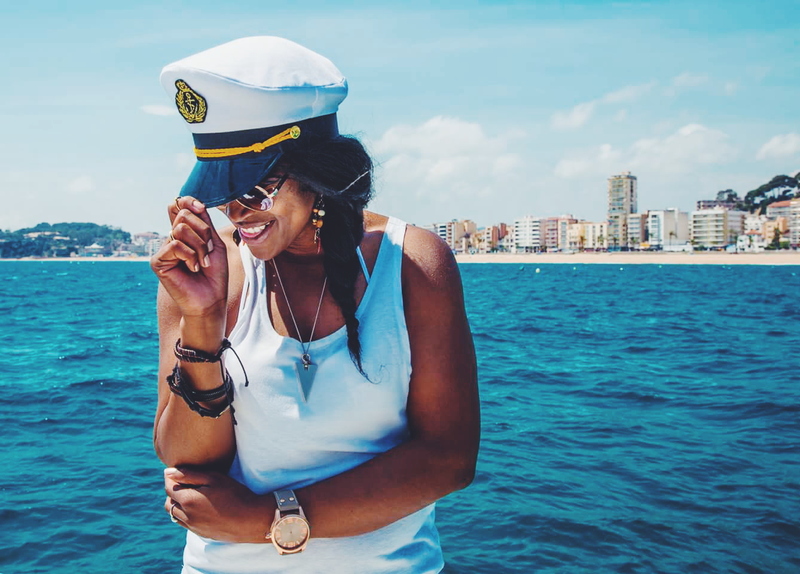 Travel is about adventure and no one does adventuring quite like Gloria Atanmo, the creative powerhouse behind The Blog Abroad where she writes about her journey as a solo female traveller in Barcelona, Spain. I had the pleasure to meet the ever so bubbly and contentiously positive Gloria at TBEX Spain and I can assure you that her blog is the perfect reflection of her character – witty, funny and inspiring wanderlust! The 25 year old, who describes herself as an adventure junkie not actively seeking treatment, is currently working on her first book about the unequivocal education of travel, risks, and hustle, due to be released in the summer 2015. Let’s find out more about Gloria and see where her love for travel will be taking her this year. What is your current location and how long are you planning on staying here ? Ha! So I’m in Barcelona and absolutely love it here, but I just recently decided my Spanish chapter will be coming to a close. I can’t say an exact date yet, because I hardly plan my tomorrows, but I know that I’ll be leaving Spain by the Fall to travel around Scandinavia and Asia for a bit, before heading back to the U.S. to visit family and friends and go on a book promo tour. Being as directionally-challenged as I am, when I’m not pivoting back and forth from trying to understand which way my GPS is telling me to walk, I get a chance to gaze up at the sky and lately, it’s been looking rather green. 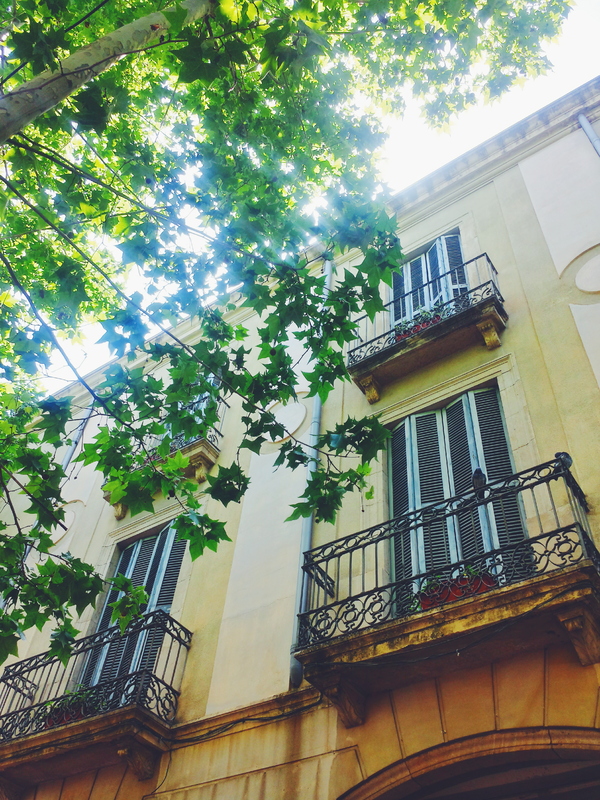 I’m loving how Spring looks in Barcelona as trees are fully sprouting their green leaves and flowers line the bushes and streets. Perfection! Please describe your typical morning. Since you travel often, do you try to stick to a routine or do you like to keep things flexible? The only thing close to a routine that I’ve managed is learning how to say no to the jar of Nutella every morning. The struggle. Oy! But in all seriousness, although I’m really bad with punctual responses, I try and check my email account(s) and social media networks regularly, because all of my travel and business run through there. And it can be hard to prioritize which ones need immediate attention when there are so many amazing and kind-hearted people who reach out to me with lovely compliments about my blog. So making time to bathe in happy tears every once in a while, but getting down to the important and timely emails can be a challenge! Especially since I go to bed in Spain during prime time hours in America, communication can be tricky! What is the most exciting or fun thing that you saw or did today? While on the metro, I made eye contact with a really hot guy. It was pretty intense. We exchanged stares, smiles, and a look of approval before going our separate ways. In another life, I’d be sending out wedding invites, but let’s be real, I’ve got to conquer the world first. What drives you to travel, besides the obvious such as experiencing new cultures ? What do you hope, or have, experienced through travel? I’d say the same things that drive me to live. My passion for life and people exceed far beyond my capacity to comprehend and I’m fueled by the fire that gets lit with every new soul, city, and culture I encounter. I want to breathe the air of unknown territories, dance with the dancers of remote locations, and dine with the locals of unfamiliar backgrounds. The compassion and understanding you develop on the road is something you can’t be taught any way else. Solo female travel is often portrayed as dangerous in the mainstream media. What is your number one reason for women to travel solo? It’s so important to be an advocate for solo female travel as the world and mainstream media continue to push the image of danger and fear in the forefront. I think one of the most empowering things I get in my inbox are from blog readers who tell me I’ve inspired them to take their first solo trip. That means the world to me, because to have that kind of influence in a complete stranger means I have the power and ability to see a courage and bravery in people before they see it in themselves. I will always be a solo traveler before anything else. Tell us more about your plans for the rest of the year! What places are you hoping to see and what is your number one travel destination for 2015? I’ll be spending the next couple months between Madrid and Barcelona, finishing my book, redesigning my website, and then taking off through eastern Europe around August. I want to backpack around Scandinavia for 2 months before finally making my way to Thailand in October. I’ll then stay in Asia for a couple months, touring Thailand, China, Japan, and maybe squeeze one more Asian country (open to suggestions) before making my way back towards Spain. If I can manage it, I’d like to make quick stops in India, UAE, and Turkey beforehand as well. Be sure to keep up with Gloria’s travels through her blog, TheBlogAbroad.com, Facebook (her daily updates are guaranteed to make you smile!) and Instagram.